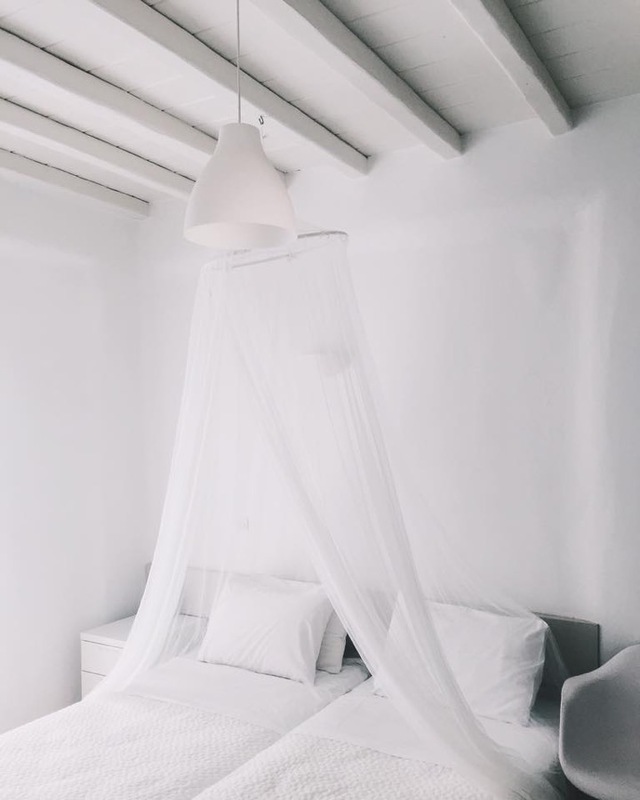 Coming from someone who has an IKEA themed bedroom that consists of anything and everything white, I think this one of the reasons why I love Mykonos. 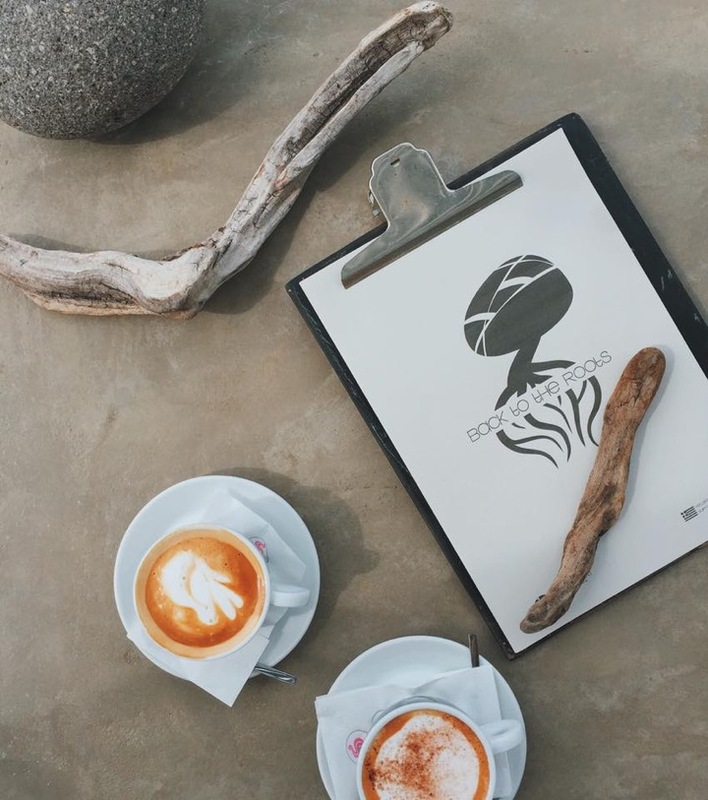 There are naturally so many nice places to go and things to see, below are just a few of my recommendations from my short time there. 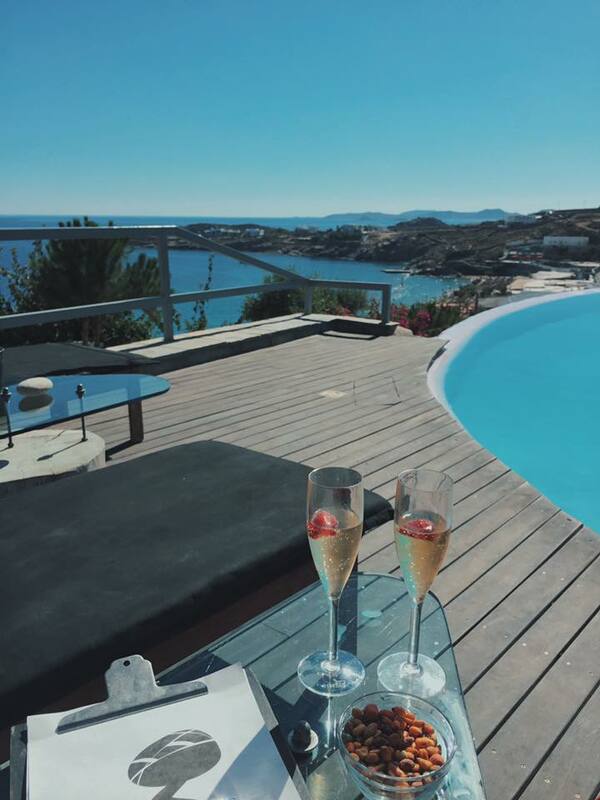 We stayed in Votsalaki Resort during our time in Mykonos and it was incredible. 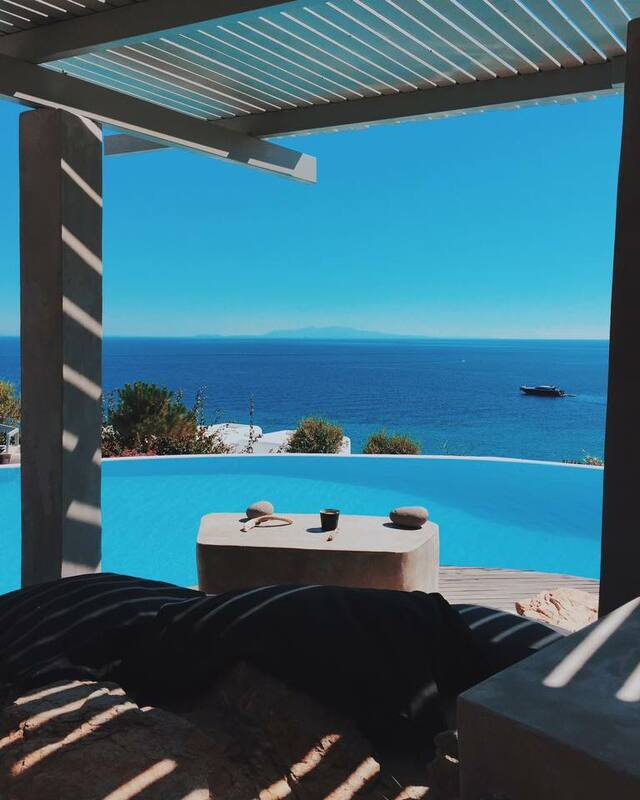 It was situated on top of a hill which gave the most insane views of the ocean and offered a tranquil retreat from the beach clubs below. Another reason I loved staying here was the infinity pool, which again gave you the views of the world below whilst you took a dip to cool off. We stayed in two rooms whilst we were there, moving from a standard studio room to an executive studio on the last night - totally worth it! 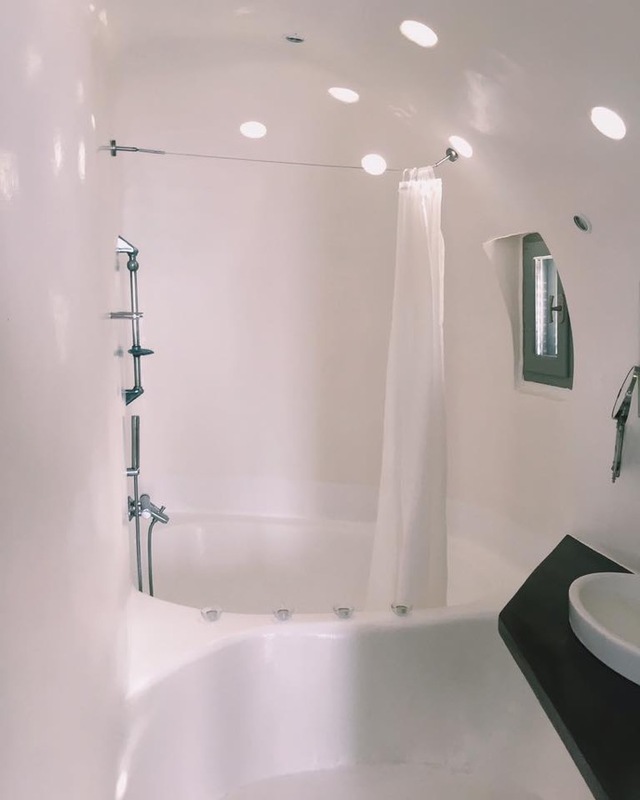 Not only did we get a bigger room and balcony but also the bath of dreams...complete with candles! 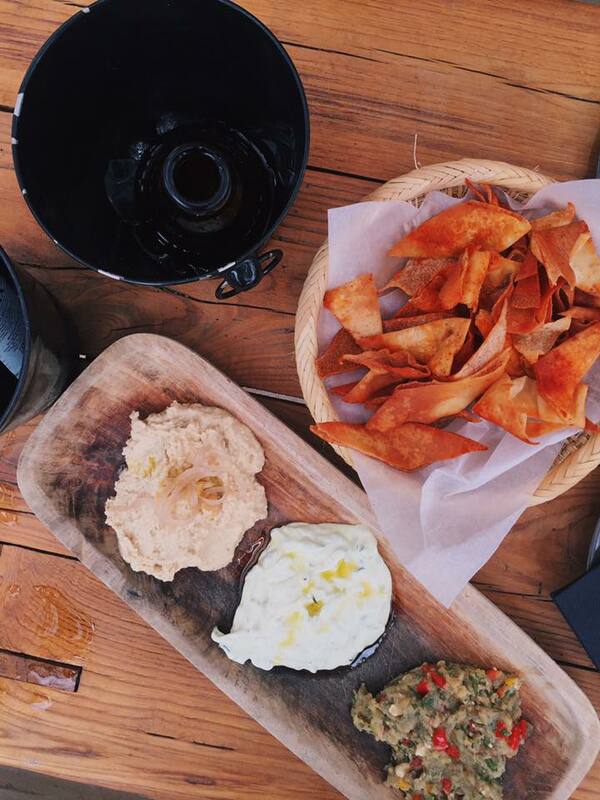 We had some of the most amazing meals whilst we were away. We definitely got the right mix between nice dinners in the evening and a cheeky Gyros on the beach at lunchtime (accompanied by a Bloody Mary, of course!). 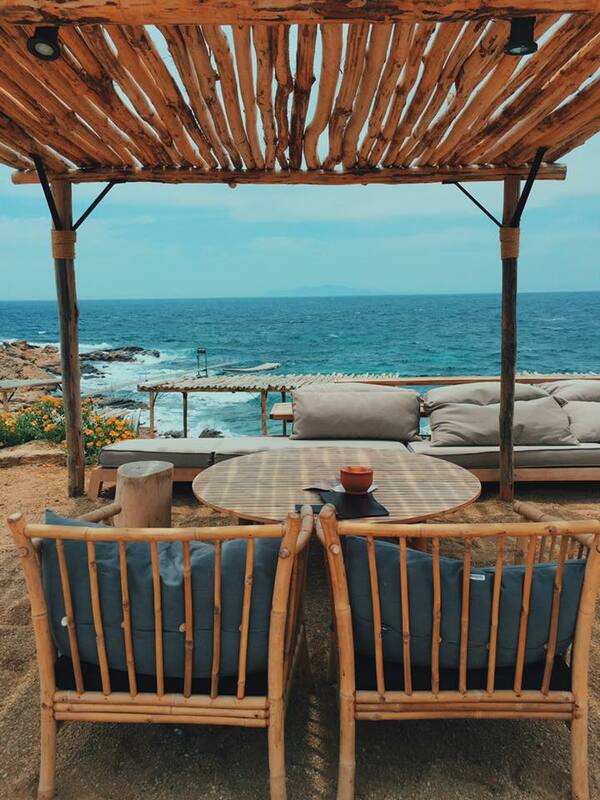 We started our day with a breakfast at our resort, there was no better way to start our day than sat overlooking the view we had, plus the greek yoghurt with a cappuccino was an all time favourite. One of my favourite places to eat was Mamalouka. We saved this for the last day; and I am so glad that we did! 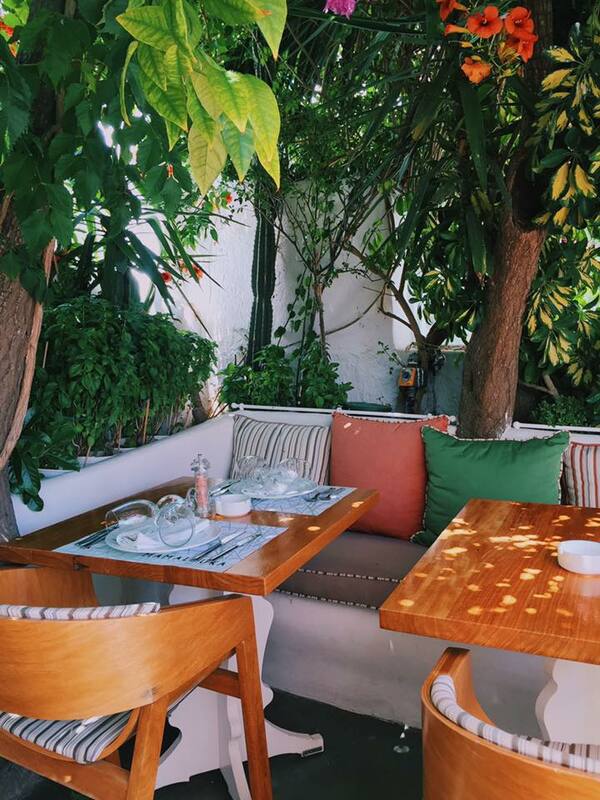 We pretty much had the restaurant to ourselves which meant that we could sit in the shade in the outside garden surrounded by beautiful trees and plants. The beautiful setting combined with fantastic fish dishes and a bottle of white wine, really was the perfect way to end our holiday. Meating was amazing and their cappaccio was out of this world. 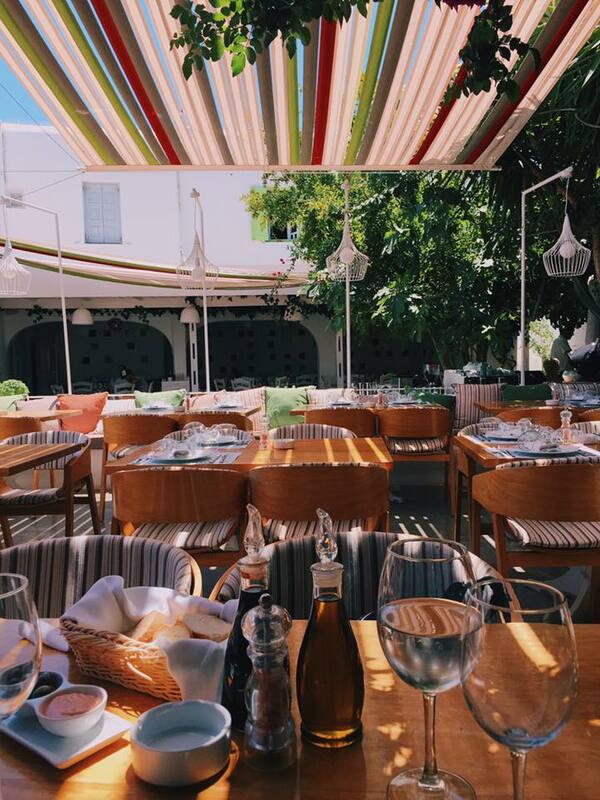 All of these restaurants are located within Mykonos Town, which was only a short bus ride from our resort. 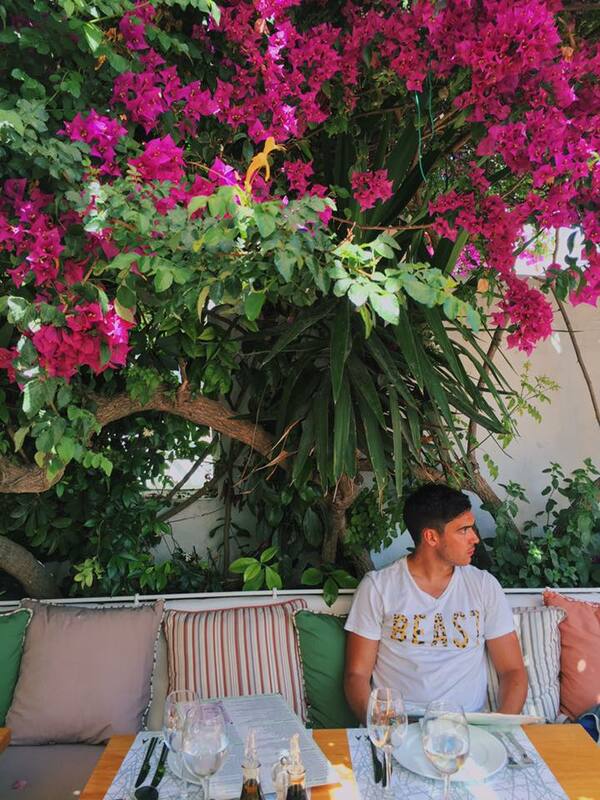 For us, Mykonos was just as much of a beach holiday as it was to wander the streets and explore. 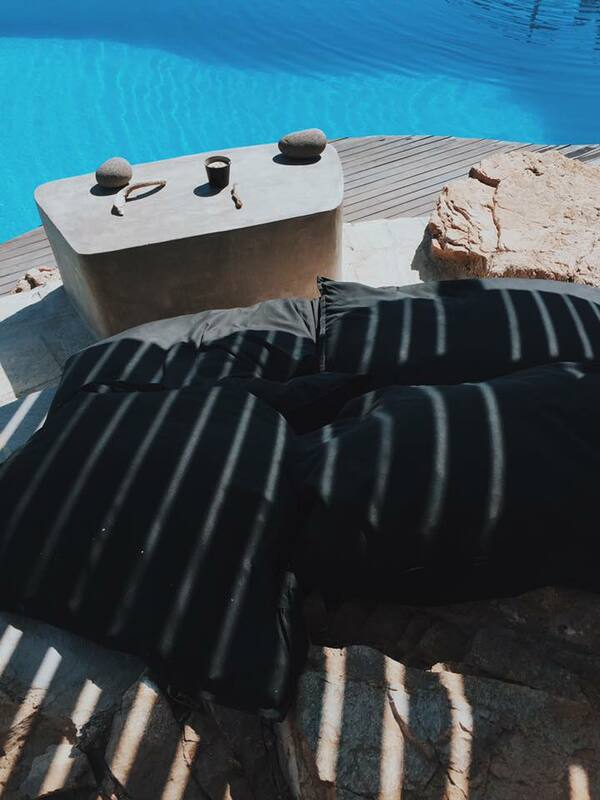 My suitcase was packed with too many bikinis for the days that I had in Mykonos (typical that I ended up sticking to my favourites anyway). My go-to items would be a pair of old levi's shorts - easy to throw on over your bikinis when you are in search of a cocktail/Gyros. I had this Sabo Skirt dress over two years ago and it has never failed me. Teamed with my new favourite New Look sandals, Toyshop Sunnies and a backpack - I was ready to go. These sandals are an absolute steal at £14, also available in other colours! There were a couple of things that I knew I had wanted to do which I had pre-planned through my trawling of Pinterest. Little Venice was top of my list. This may be due to the fact that I was in actual Venice only two months ago and I wasn't going to pass up the opportunity to have more of that!!! 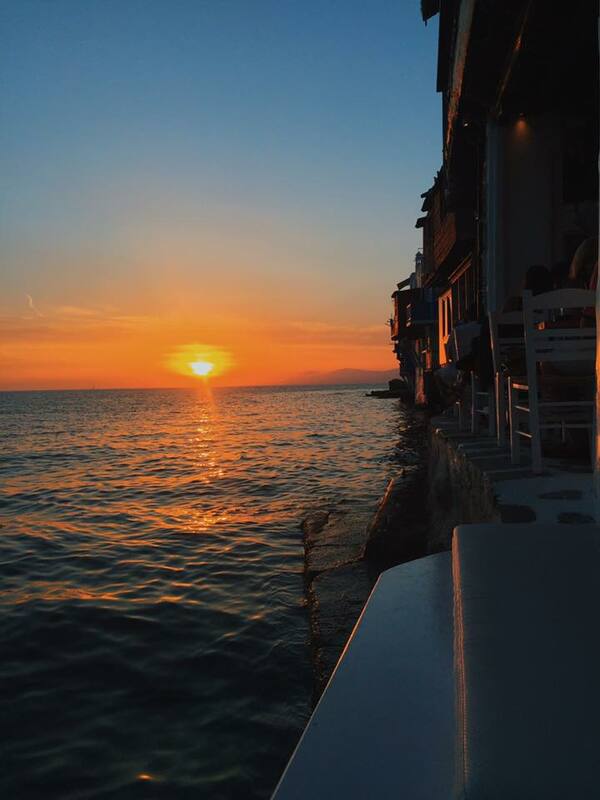 We sat on the waterfront on two nights and watched the sun set over Little Venice. 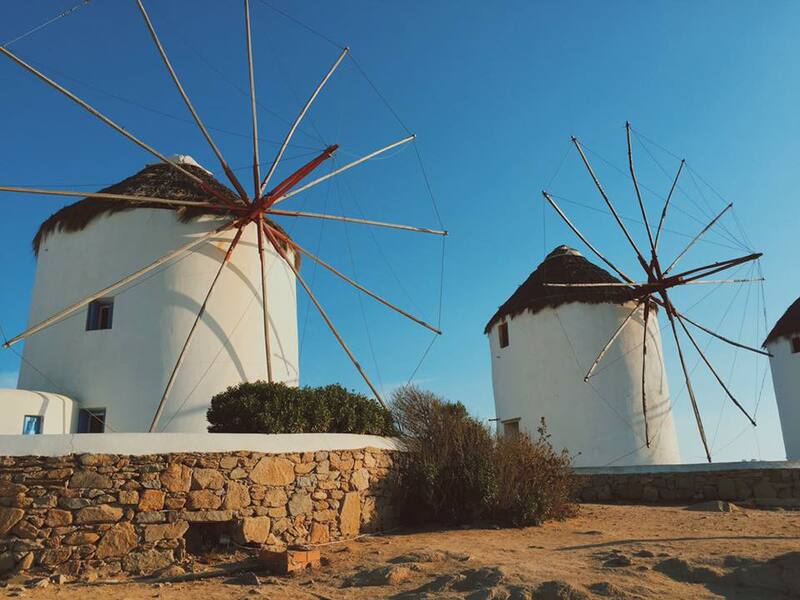 There are multiple bars across the front and the amazing thing is that not only do you have Little Venice to one side of you...but the famous Mykonos Windmills on the other. It really was a great spot to sit with a cocktail and watch the sun drop. Scorpios was also a place that I had set my sights on. 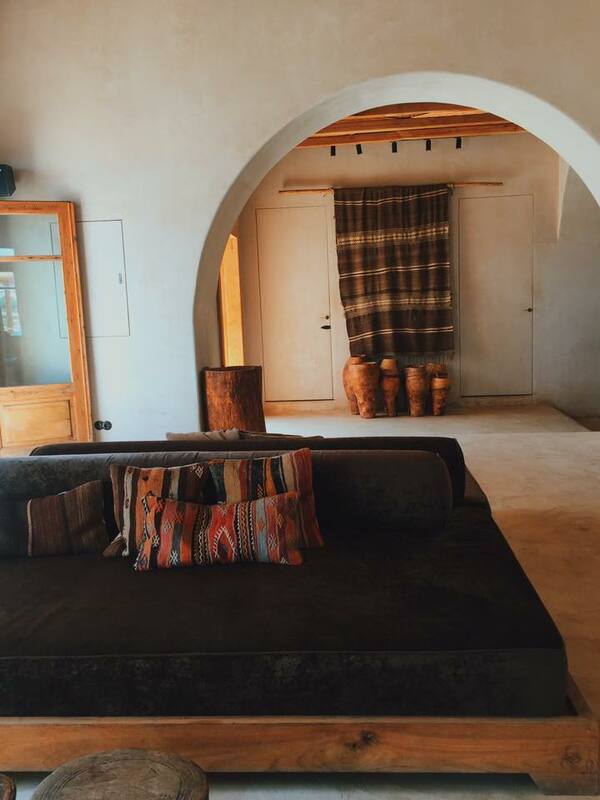 This again was through recommendation but its boho vibe really was the place to relax on an afternoon. We decided to walk to Scorpios (around half an hour - but combine that with the heat and hill climbs, meant that we definitely deserved the food and drink at the end). The restaurant and bar played great music and we received our beers in a bucket, which of course is the best way to have them. 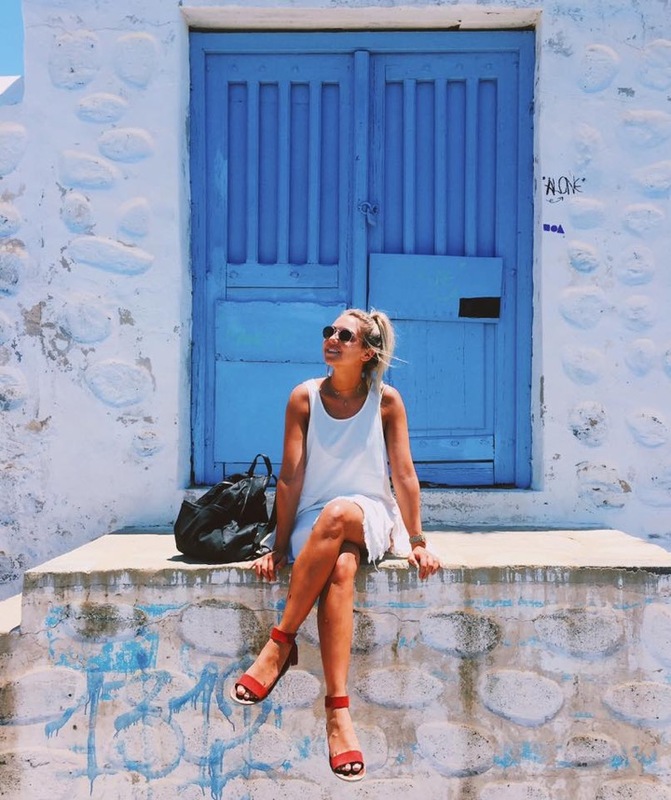 I think part of the fun in visiting places such as Mykonos is having the spontaneity to explore the hidden streets and stumble across places you may not have otherwise (this is how we found Mamalouka, after all). Next on my list is another Greek island...Santorini. Partly because it looks just as beautiful as Mykonos but I would be lying if the thought of another Gyros didn't play a huge part (Google them - pictures do not do the taste justice!) 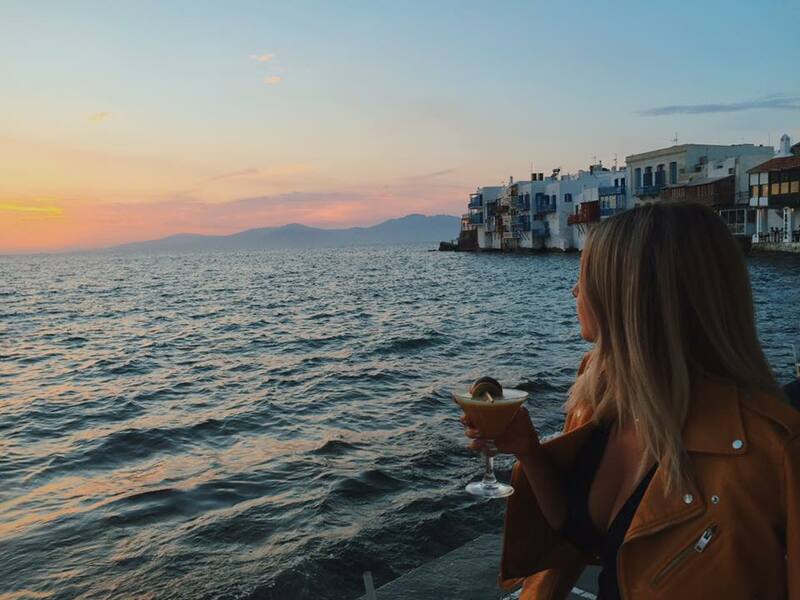 So until next time, Greece! 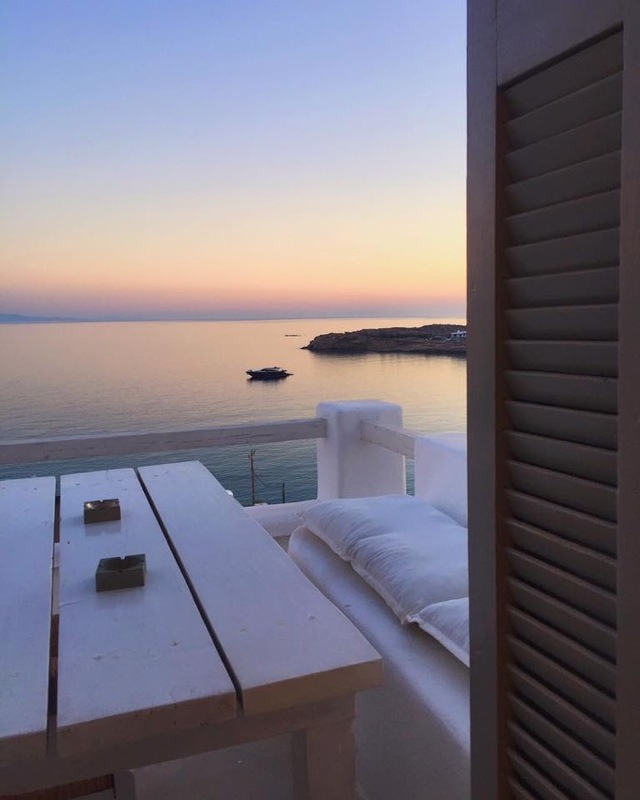 Mykonos looks like a dream! I also love all these little white houses, Greek islands have the best colour theme ever haha. The windmills are so pretty! Little Venice sounds great, especially at sunset. We have gyros here in France as well (we actually call them "Grec", which means Greek as you could probably imagine haha) but they don't look as good as those we can see on Google!